At Westlake Hills Dentistry we employ the latest technology to provide you with the most effective restorative dental treatments available. 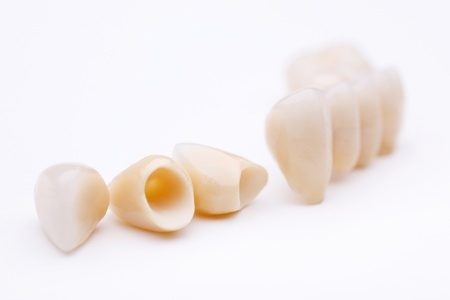 Using CEREC® technology we craft natural looking and beautiful dental crowns in a single visit. Dental crowns can restore your smile and help save teeth that are badly decayed by pairing the crown placement with root canal therapy. Dental crowns are a quick and effective way to create a beautiful smile. We use state- of-the-art techniques to restore badly misshapen or damaged teeth in just one visit. We use CEREC® technology which enables the doctor to create a natural looking crown right in the office. This means we can create and place your crown in the same visit. This procedure normally only takes about an hour which means your smile can be restored and you can be on your way in no time. Today’s dental crowns contain no metal which means they are natural looking and match your teeth perfectly. There is no line of demarcation at the gum, your new crown blends in seamlessly and restores your smile. Your new crown is strong and durable and will last many years with proper care. Not only can crowns be used to repair broken or damaged teeth, but they can also be used to strengthen and restore a tooth after a root canal procedure. During your visit digital pictures and images of your tooth will be taken. The doctor then uses these pictures and images to create a natural looking crown right in our office with our state-of-the- art CEREC® machine. Your new crown is milled in the CEREC® machine and the procedure is completed in about an hour. Because the images and pictures are digital you get the most natural looking crown possible. The color of your new crown matches your natural teeth perfectly and once placed it is impossible to detect. This eliminates the need for impressions, temporary crowns or second visits. Placement of the crown is pain free. A local anesthetic is used during the shaping of the tooth and the bonding procedure involves cementing the crown to your existing tooth. Once placed your crown will last for many years and it will not stain. Sometimes the pulp (inside nerve of the tooth) becomes damaged by trauma or decay, or it may become infected causing pain. A root canal therapy procedure removes the damaged or infected pulp to give you relief from pain and save your tooth. This procedure is done under local anesthesia and is no more involved than receiving a filling. First the doctor removes the pulp and sterilizes the inside of the tooth. An inert filling is then used to protect inside of the tooth and prevent bacteria from invading the space. Next a crown is placed onto the tooth to strengthen and protect it. CEREC® technology is used to create a natural looking crown which matches your natural tooth color and will last for many years. For more information on one-appointment dental crowns, CEREC®, or root canal treatment in Austin, Texas, contact Westlake Hills Dentistry today. Our offices are equipped to provide an array of restorative procedures such as porcelain veneers, dental implants, composite bonding, and tooth-colored fillings.